Down from $750K to $626K to $549K to the incredibly low asking price of $495,000!! 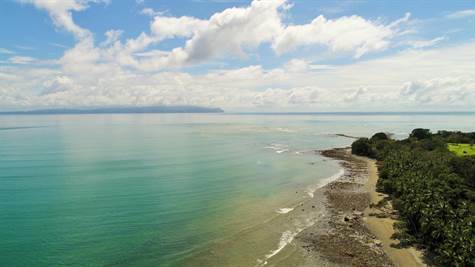 !Two hectares, one titled, the second Maritime Zone with use permit, a beautiful turnkey modern home with a separate guest house plus caretaker's house, fifteen minutes from town and supplies one way and a half hour from world class surf the other. 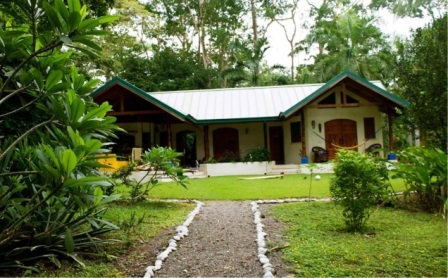 This stunning property is in the quiet little alcove of Guanabana in a small, private, and very secure and safe little expat neighborhood. The off-grid home is two bedroom two bath with a private upstairs loft apartment. Built in 2006, the home is open-air architecture and tailored to the tropics. With teak cathedral ceilings, deep foundations, concrete construction, standing seam metal roof insulated against heat, this solar-powered home is beautifully nestled in secondary forest decades old, shaded in the afternoon by tall trees, the grounds landscaped and manicured. Water is from a well. 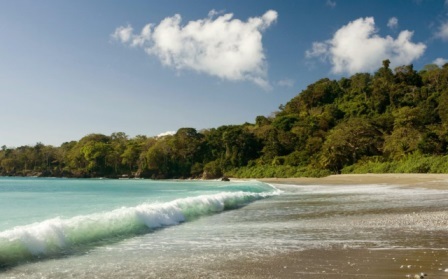 The beach is a mix, sandy at high tide, rocky with tide pools at low tide, with stunning views that sweep across the Golfo Dulce to take in the jutting coastal mountains of the mainland across the water. Fruit trees on the property include guayaba, bananas, papaya, mango, avocado, noni, and several types of citrus, plus ornamentals, haliconias and ginger, plus hardwood plantings. 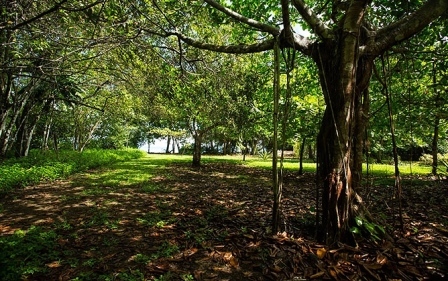 A network of shaded and groomed trails traverse the property, including one to our secluded beach in front. The many interior accents include hand-painted tile, bass-relief carved doors with tropical scenes and much more. The property is blessed with an abundance of wildlife, including three species of monkeys, sloths, coatimundi, tayras, otters, iguanas, and even the occasional jaguarondi and ocelot. The Scarlet macaws are ever present, and beyond the common toucans, hawks, green and red toucans, many more bird species are frequent visitors. Beyond the main home, there is a guest house that sleeps five, and a worker house where our caretaker lives. 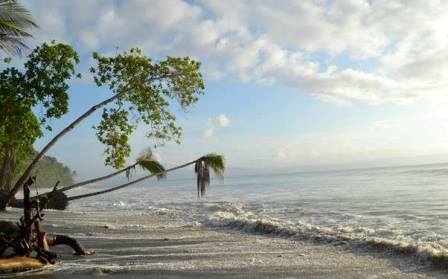 Only eight km from bustling Puerto Jimenez, Guanabana is an oasis of secluded tranquility, a short jump from groceries and town supplies. Beyond its native appeal, the property is also a vacation rental property with regular income from that activity. Titled, turnkey, fresh to the market, and ready to go!